(Reuters) – President Barack Obama on Friday proposed $120 million in new tax credits for businesses that hire U.S. veterans returning from Iraq and Afghanistan at a time of stubbornly high unemployment at home. During a visit to Washington’s Navy Yard, Obama unveiled a “reverse boot camp” program to help soldiers return to civilian life and set a goal for companies to hire or train 100,000 unemployed veterans and their spouses by the end of next year. “Over the last few years, another generation of young veterans has learned that the challenges don’t end in Kandahar or Baghdad. They continue right here at home,” Obama said. The winding down of military operations in Afghanistan and Iraq has released thousands of veterans into an already weak U.S. job market and that pace is due to accelerate. 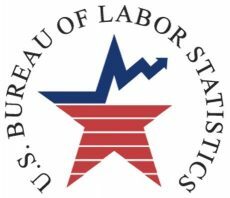 In July, the jobless rate for those who served since September 11, 2001, stood at 12.4 percent, compared to 9.1 percent for the overall population, figures released on Friday showed. The relatively modest measures were announced as Obama, fresh from a bruising fight over deficits and debt, is under pressure to find ways to boost U.S. economic growth and bolster job creation while keeping spending in check. His proposed new “Returning Heroes Tax Credit” gives $2,400 to companies for each veteran they hire who has been unemployed for less than six months and $4,800 for those unemployed for half a year or more, administration officials said. And the existing “Wounded Warriors Tax Credit” — paid out for hiring wounded veterans — would be doubled to $9,600 for taking on someone unemployed for six months or longer. The White House estimated the plan’s cost at $120 million over two years. It would require congressional approval and be funded from the existing budget. Beyond the tax credit, Obama said, the Pentagon and Veterans Affairs Department would invest more to help soldiers make the transition to civilian careers — particularly finding ways to match their training with industry-accepted credentials. According to the Defense Department, 88 percent of military jobs have “direct civilian counterparts.” But most U.S. states require veterans to retrain before they can take similar civilian positions. Obama said it was critical that regulators and companies recognize the very relevant training many veterans have already received, using paramedics and finance officers as examples. He said Siemens had hired 300 veterans and aimed to hire an additional 15 by December, and Microsoft would help 10,000 veterans get IT-certified over the next two years. Lockheed Martin, Accenture and the U.S. Chamber of Commerce have also agreed “to do their part to help veterans get back in the workforce,” he said, offering no details. 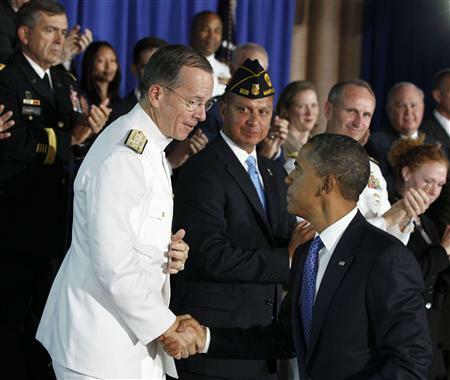 Admiral Mike Mullen, the top U.S. military officer, told the Washington Navy Yard audience that former troops had much to offer the private sector in a variety of roles. “They are smart, tech-savvy, wired to serve and great leaders. They will make terrific employees, and I can tell you this, they darn sure know how to show up on time,” he said.